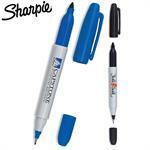 Promotional Sharpie Mini Permanent Marker, Item #MINM decorated with your company logo with no setup fees. 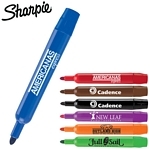 The Promotional Sharpie Mini Permanent Marker is customized for your advertising needs. Promotional Sharpie Fine Point Permanent Marker, Item #FPM decorated with your company logo with no setup fees. 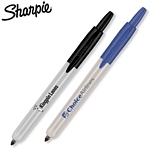 The Promotional Sharpie Fine Point Permanent Marker is customized for your advertising needs. 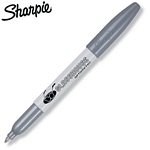 Promotional Sharpie Metallic Silver Permanent Marker, Item #FPMM decorated with your company logo with no setup fees. The Promotional Sharpie Metallic Silver Permanent Marker is customized for your advertising needs. Promotional Sharpie Autograph Black Permanent Marker, Item #FPAM decorated with your company logo with no setup fees. 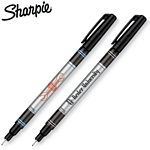 The Promotional Sharpie Autograph Black Permanent Marker is customized for your advertising needs. Promotional Sharpie Stainless Steel Pen, Item #SSP decorated with your company logo with no setup fees. 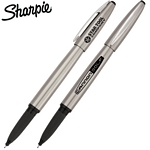 The Promotional Sharpie Stainless Steel Pen is customized for your advertising needs. Promotional Sharpie Permanent Pen, Item #SPM decorated with your company logo with no setup fees. 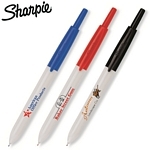 The Promotional Sharpie Permanent Pen is customized for your advertising needs. Promotional Sharpie Accent Mini Hightlighter, Item #AMINH decorated with your company logo with no setup fees. The Promotional Sharpie Accent Mini Hightlighter is customized for your advertising needs. 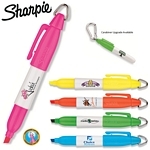 Promotional Sharpie Gel Highlighter, Item #SGHL decorated with your company logo with no setup fees. The Promotional Sharpie Gel Highlighter is customized for your advertising needs. 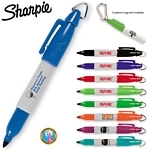 Promotional Sharpie Ultra Fine Retractable Marker, Item #UFRTM decorated with your company logo with no setup fees. 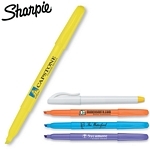 The Promotional Sharpie Ultra Fine Retractable Marker is customized for your advertising needs. Promotional Sharpie Retractable Fine Point Marker, Item #FRTM decorated with your company logo with no setup fees. 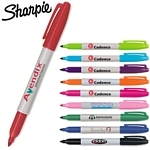 The Promotional Sharpie Retractable Fine Point Marker is customized for your advertising needs. Promotional Sharpie Flip Chart Marker, Item #FCM decorated with your company logo with no setup fees. The Promotional Sharpie Flip Chart Marker is customized for your advertising needs. Promotional Sharpie Accent Retractable Highlighter, Item #ARTH decorated with your company logo with no setup fees. 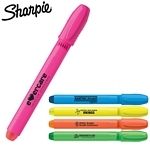 The Promotional Sharpie Accent Retractable Highlighter is customized for your advertising needs. Promotional Sharpie Twin Tip Permanent Marker, Item #TTM decorated with your company logo with no setup fees. 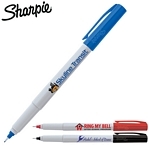 The Promotional Sharpie Twin Tip Permanent Marker is customized for your advertising needs. 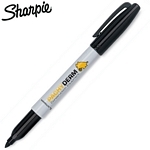 Promotional Sharpie Ultra Fine Permanent Marker, Item #UFPM decorated with your company logo with no setup fees. 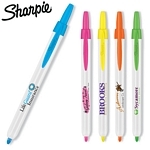 The Promotional Sharpie Ultra Fine Permanent Marker is customized for your advertising needs. Promotional Sharpie Pocket Accent Highlighter, Item #PAH decorated with your company logo with no setup fees. The Promotional Sharpie Pocket Accent Highlighter is customized for your advertising needs.